The Plant Preserving Cabinet allows plants to be stored safely away from light in a clean environment. The interior of the unit is water resistant to keep moisture at bay, and a galvanized pan lines the bottom for easy cleaning. An adjustable mesh shelf prevents soil and water from building up. 35” L X 22” W. X 34 3/4″ H. Overall. Top to be 1” Shelresin with 4” backsplash. 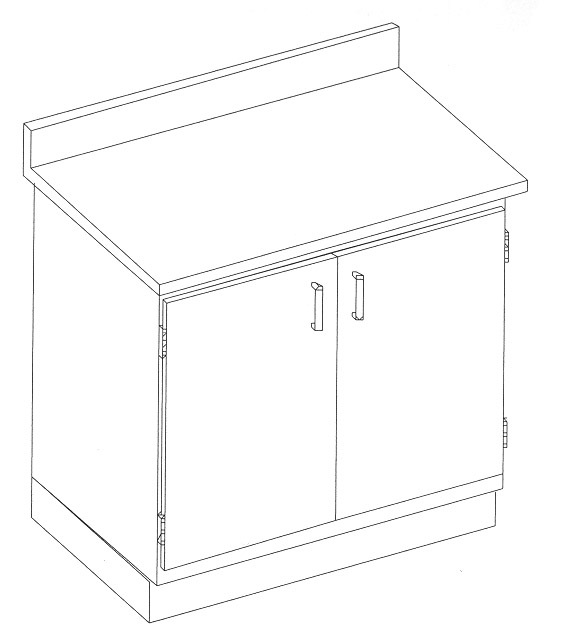 Cabinet is thru-bolt construction with a replaceable hardboard bottom panel. Interior is water resistant, with a galvanized pan on bottom.